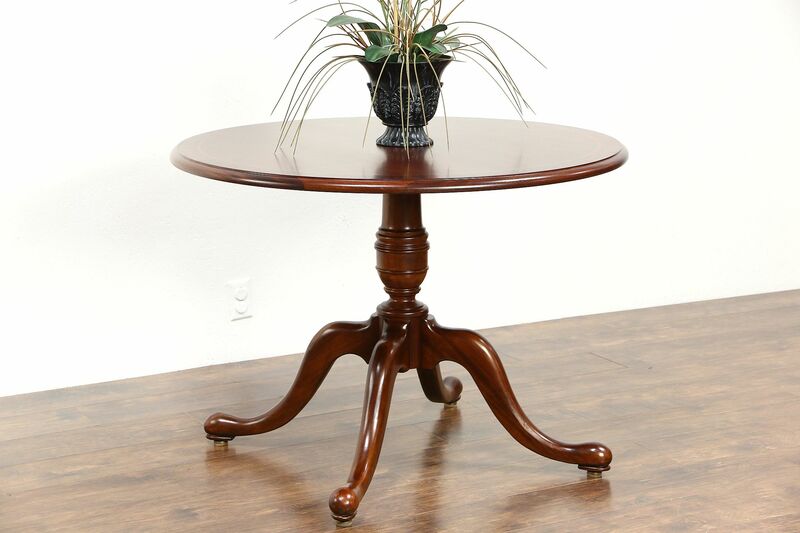 Signed by famous maker, "Councill," about 25 years ago, a round hall center, lamp or breakfast dining table has a top banded in flame grain and ebony. The satiny restored finish is in excellent condition. American made vintage furniture, the carved pedestal is solid mahogany and very sturdy. Measurements are 42" diameter and 31" tall. Please view 19 photos at full screen size for best detail. Related items in photos are sold separately.